Over the past seven years, I've been asked, Whatever happened with your Gray Locke book series?! You released the first book, made the front cover of your local newspaper, had a reading and book signing event. Then, the next year, you released the second book. And then you had the first draft of the third story nearly finished. What happened? I just needed some time off and then some, because life. The ebb and flow of life's tide had strengthened to tidal wave forces, beginning in April 2011, that created a dark tsunami over my existence. And I was overwhelmed, to say the least. I felt I needed to be in the right frame of mind to continue with Gray's story. So I was forced to put it aside. 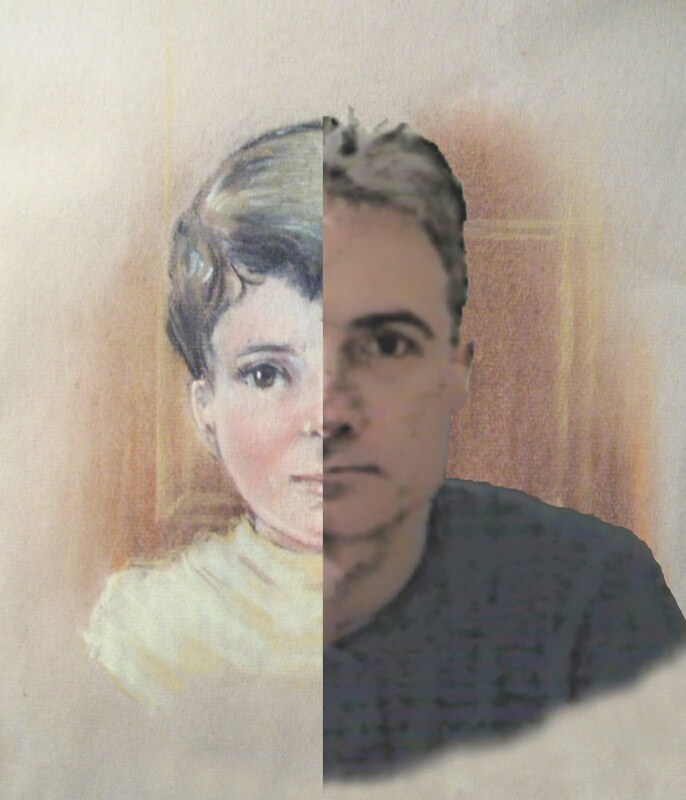 With the Gray Locke series, being what it is—a multimedia concept—I had to prepare other elements that fit in with future stories. And that, too, takes time. Time has a way of eluding us. But time also has a way of showing us what's really important in our lives. And Gray Locke's story is very important for me to create, and to share his story with all of you. I created the first Gray Locke website back on November 30, 2011. But I was never satisfied with it. (Nor my own personal website.) So, now I am revitalizing both of our internet presences. And I am pleased with how they look so far. Just look at the comparison below! 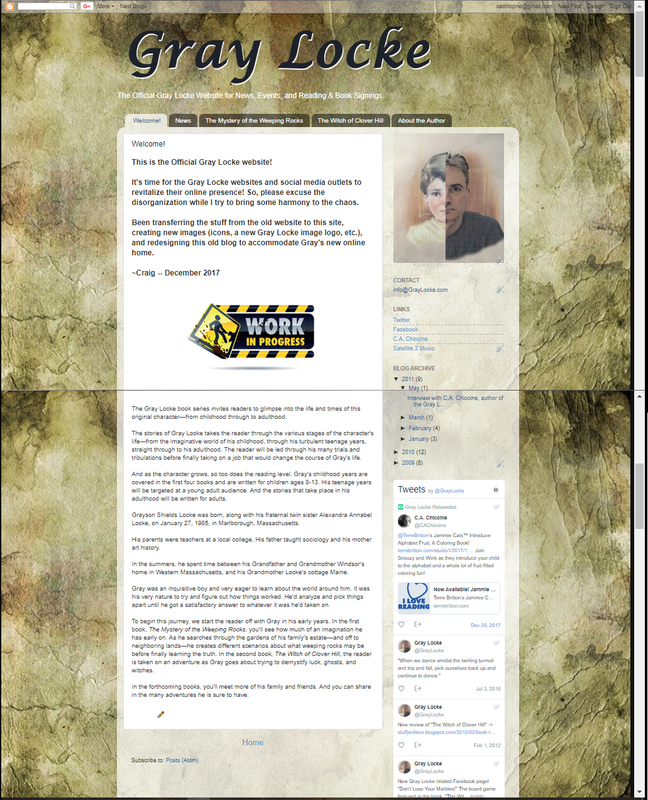 I decided to return to the blog (the Gray Locke Portal) and use it as the hub. 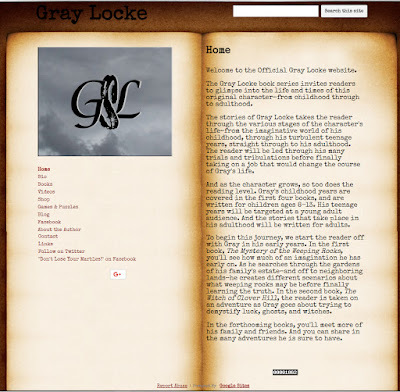 Everything you need to know about Gray Locke, you'll find right here. I am happy with the new layout and design. Finally. So, as I continue to make some more tweaks to the website, and continue work on the third book (and some bonus material), let's wish Gray a Happy Birthday!